Are you an American working in Canada? Consider the major tax consequences that will directly affect you! Here are 7 seven major tax implications that Americans working in Canada should watch out for. Canadian residents are liable for tax on their world wide income, i.e. income from all sources in all countries. Being a non-resident will limit your Canadian tax exposure as opposed to being a resident of Canada. As an American, am I a resident of Canada or non-resident of Canada for tax? 1. Where is your permanent home? If you’re permanent home is in Canada, then you are a Canadian resident. On the other hand, if your permanent home is in the United States, you’re more likely to be a non-resident of Canada. 2. Where are your spouse and children residing? If they are living with you in Canada, then you are more likely to be a resident of Canada than a non-resident. 3. Where are your personal possessions kept? Personal possessions include your furniture, your clothing, appliances, financial assets, and so forth. If the majority of your personal possessions are kept in Canada, then you are more likely to be a Canadian resident than a non-resident. 4. Are your social ties stronger to Canada or to America (United States)? If your social ties are stronger to Canada then you are more likely to be a Canadian resident as opposed to a non-resident for tax purposes. It is important to look at the four factors as a whole when determining your residency status for Canadian tax purposes. As an American working in Canada, how do you get around the 183 day rule? The Canadian – U.S. Tax Treaty can provide tax relief, because it overrides the 183 day rule. Within this treaty there are rules surrounding your residency, which are very similar to the four Canadian residency factors discussed earlier. If you are found to be a resident of the U.S. under the Canada – U.S Tax Treaty, then you are a non-resident of Canada, even if you were in Canada for 183 days. If you are an US citizen working in Canada, you still have to file a Canadian income tax return by April 30th. Employment income earned in Canada from January 1st, 2016 to December 31st, 2016 must be reported on your Canadian income tax return. Any income taxes owing must also be paid by April 30th. There are 3 Basic Categories for Filing Personal Tax Returns in Canada. You are working for a Canadian employer and you receive a T4 slip from your Canadian employer. A T4 slip is very similar to a W2 slip. The T4 slip reports the amount of income you earned in Canada and the amount of taxes that have been deducted your pay cheques. The amounts on the T4 are reported on your Canadian personal income tax return, and you pay tax accordingly. You receive a W2 slip from your U.S. employer and have only worked a couple of months here in Canada. Even if you did not receive a T4 slip, you still have to pay Canadian income tax based on days you have worked in Canada. For example, assume that you earned $100,000 dollars from your employment in the year, and this amount is reported on your W2. If, for example, 10% of all of your working days in the year were in Canada, then $10,000 of employment income must be reported on your Canadian personal income tax return. You receive a W2 slip from your U.S. employer and you also receive a T4 slip from your U.S. employer. In this case, taxes are being deducted from your pay cheques twice: once for U.S. payroll taxes and the second time for Canadian payroll taxes. This doesn’t leave you with as much money leftover. How do you avoid double-taxation? File a waiver for the reduction in your U.S. withholding taxes, i.e. Form W4 must be completed. As a U.S. citizen or a green card holder, you are required to file a U.S. personal income tax return and report and pay tax on your world wide income. You must also file a Canadian tax return and pay tax on the employment income earned in Canada. To avoid double taxation (i.e. tax in Canada and in the US), a foreign tax credit will be applied on your U.S. tax return to compensate you for Canadian taxes paid. If you work in the US, you are probably making contributions to your 401K and are paying social security taxes. Similarly when working in Canada, you will also have to contribute to the Canada Pension Plan (CPP) and to the Employment Insurance Plan (EI). You end up paying social security taxes twice, once in Canada and once in the US. In order to avoid double taxation, you can obtain a Certificate Of Coverage from the Canada Revenue Agency, which will exempt you from paying Canadian social security taxes, also known as CPP and EI premiums. For more information regarding social security and additional related payroll taxes, please consult our article on the tax implications for US companies expanding to Canada. If you are a Canadian resident for tax purposes, you will be required to disclose all of your foreign assets having a total cost of more than $100,000. If you fail to disclose your foreign assets, you will be subject to significant penalties. For more information about US or other international tax advice check out our blog on International Tax Accountant in Canada. Here you will learn ways you can save on taxes when expanding your business to Canada. I work for a US company that is placing a US citizen on a job in Canada later this month. We will take out his US taxes but as a non canadian company won’t take out canadian taxes. We will be billing our canadian client for our GST, so I think we’re good there but I’m concerned about the employee. He has worked in Canada before and the double dipping of taxes really hurt him in the past. (He has permanent home in AZ and his wife is not traveling with him so he meets the non-resident requirements based on what I learned from another video). Are there any “best practices” guidlines or information you could point me too? It seems that you are concerned about a fellow US employee who will be later relocating from Arizona to Canada for a job this year in a US company working in Canada. As per your information, he/she will be leaving his family and permanent establishment behind and coming here alone (therefore, his residential ties will lie in Arizona). Also, he is a US citizen. In order to avoid double payroll taxes, the US employer must collect and submit all Canadian payroll taxes (as he/she will be working in Canada) to the CRA. Afterwards, an election can be filed to have his/her US Payroll taxes reduced by the amount of payroll taxes paid in Canada. In order for us to better assess this individuals situation and guide him as to how he could go about avoiding double taxation, we would need to be provided with further information. We will be more than glad to assist this individual in the process. You may contact us at our contact details noted on our website. – Is the business going to be your only source of income while in Canada? There are three options you can consider. Which one you decide on depends on the complexity of your business and how you answered to the questions above. 1. As an S Corp, all your net income flows to the shareholders (you and your wife in this case) and will be taxed at the individual tax brackets so this amount (approximately $100,000) will be included as partnership income on your US returns. S Corps are treated as partnerships in Canada and you can divide the income on a 50-50 basis in order to minimize Canadian taxes owing, but you will also pay tax in the US. It is true that you will receive a foreign tax credit in Canada, but that’s only after you’ve paid the US tax liability, which would limit your short-term cash flow. 2. Turn your S Corp into a C Corp and issue dividends as you need the money. Dividends paid to you will be included on your Canadian personal income tax return. You will not be receiving a dividend tax credit on your Canadian return since the dividends are foreign. 3. Set up a Canadian corporation and bill your clients through your Canadian corporation but keep the S Corp should you decide to move back to the US. Based on the information you provided, we recommend option 3 as it is the easiest way to continue with your line of business and not lose the established clientele. We are more than happy to assist you with your taxes during your stay in Canada as well as abroad. My wife and I are Canadian citizens (both born in Canada). our children were born in the USA. We became American citizens in May, 2011. I have landed a job in Sault Ste. Marie, Canada. We are in the process of deciding whether our family should buy a home in Sault, Michigan (where houses cost considerably less), or Sault, Ontario. I suppose American citizenship gives us the option of living in Sault Michigan. If we decide to buy in Sault Michigan, would we be liable for income tax in Canada and the United States on our Canadian earnings? Someone told us that our Canadian employer would take off a 15% witholding automatically if we decide to live in the U.S.A. Once that withholding is done, would that satify the tax burden, or would there be even more tax after that in the U.S.A, and in Canada? Of course, there are other considerations too – such as, medical, bridge crossing (and associated wait times), schools, and size differences (U.S. Sault is much smaller than Canadian Sault). However, at least for now, we would be most grateful for any tax advice in relation to our housing decision. If you decide to reside in Sault, Michigan and commute to Canada to work, the Canadian employer will deduct taxes from your monthly paycheque much like how any American employer would deduct taxes. You would be responsible for filing a Canadian Tax Return by April 30 of the following year in order to get any tax refunds back. You can also have the employer contribute to your American social security program such as Medicare and instead of Canadian equivalent (Canadian Pension Plan). We can help you with this step as well as filing the Canadian Tax Return for you. With regards to the 15% tax withholding, it applies if you are a US subcontractor working in Canada and not as an employee. Thank you for the valuable information. Has anything changed for the 2012 tax year. The family and I emigrated from Canada in ’11 to Oregon and i think my taxes were done correctly for that year. This current tax filing year (’12) I would work for roughly 3 weeks in Canada and be home for a week in Oregon. This type of commuting continued for almost 10 months. On top of that I claimed Canadian EI for the last couple of months (NOV,DEC) as i was entitled to after speaking to Service Canada. Which tax category do you think i belong to best? Non-resident?? Based on the information you provided me, I am not 100% sure whether you will be treated as Non-resident or Resident of Canada. Based on the 183-day rule, you may be treated as deemed resident of Canada but the tax treaty between Canada and the US may apply. I will require additional information to your significant ties before I can give you a definite answer. If you want to further discuss your situation, please do not hesitate to contact me. Can you please advise me? I need to bid for a job as an LLC for a mfg plant near Toronto; my tax rate in the US is about 30%; if I want my income after Canadian taxes to be 19,500USD per month, what amount would I need to bid/month? I appreciate any help that you would be willing to offer. American working in Canada since 2 Jan 2012. I have heard as a non-resident, CPP and EI would be reimbursed to me since I am not eligible for either as a non-resident. Is this so? If it is, is that done by the CRA or is there a place on the tax form (I uses Turbo Tax online) to process this? Unfortunately, if your employer already deducted CPP and EI contribution from your paycheque, it will be extremely difficult to get the money back. Going forward, there are certain situations in which non-residents can avoid contributing to the CPP (not EI). Please don’t hesitate to contact me if you wish to discuss this matter further. I am dual US/Canadian citizen that has been living in the US for the past 15 years. I have a job offer from a Canadian company that will allow me to work remotely from Florida until the end of the year. Will taxes be withheld as if I am a Canadian residing in Canada? Will I have to file a US and Canadian tax return for 2013? At the start of 2014 I would be moving to Ontario to work for this same company. Even if you work for a Canadian company at a satellite office, you will be considered an employee of the Canadian company and issued a T4, with taxes withheld by the company. This will be considered Canadian sourced income and will be taxable in Canada. My son and I are Natural born U.S. Citizens. My ex-husband is as well. My son and I would like to move to Canada – British Columbia, within a year or so. While we have no other family in the U.S, I have some friends in Victoria and others that will be moving there soon. Thus, I will work for a Canadian company unless I can find employment with a U.S compnay located in Canada. My current company doesn’t have a location outside of the U.S. Other than accepting employment in British Columbia, what must I do? Should I get a work permit and Green Card? Your website indicates that the Canadian company will take out for Canadian taxes as well as money for my pension/401K (I think that is what you said). Should I ask then to take out the portion I would owe for U.S taxes? How much would the taxes be? I do not own a home in American and all of my property will be in Canada. My bank are in America, yet I can just switch them. Thank you for your question. Based on the situation you’ve described, it seems that you will establish tax residency in Canada and therefore, your employer (whether Canadian or US) will be required to withhold Canadian Employment Insurance, Canadian Pension Plan, and Canadian income tax deduction from your paycheque once you start working in Canada. After you file your Canadian tax return, then you will have to file a US return annually to report the Canadian income (as a US citizen, you are required to file a US tax return no matter where you are in the world). To avoid paying double tax to Canada and the US, we can help you claim foreign tax credit to reduce or even eliminate all of your US tax liability. We are a US based employee who just opened a Canadian subsidiary. We will be having out American employees going to perform the work. We will be up there for possibly years, but we will cycle employees through so they can still come home and visit their families here in the US. How should we handle the payroll aspect? Will the employees pass the 183 days test so they are not considered Canadian residents? Your corporation will be required to pay Canadian payroll taxes for American employees working in Canada. In addition, a T4 slip (employment income slip like a W2) must be issued by February 28 of each year. You should be very careful as to where the employees are being hired from – your US corporation or the Canadian subsidiary corporation. If your US company has its employees present in Canada for more than 183 days in the year, then it will have to pay Canadian income taxes on the profits earned from the Contract. Finally, if the employees are present for more than 183 days, they will be deemed residents of Canada and will have to pay Canadian income taxes on their world wide income (including income from US sources). According to the treaty between Canada and the US, they can obtain relief and file as non residents of Canada. In this case, they would file a Non Resident Personal Tax Return and pay Canadian income tax on their Canadian employment income. I can offer a 1 hour consultation for $200, so that I can carefully explain the issues and pitfalls you should be aware of. We can also help you with tax compliance matters on both sides of the border – US and Canadian taxes. My questions are related to a personal service contract with a US based company. I have paid the required 15% tax for this type of contract through the company I contracted with. What type of tax number is required. Would it be a SIN or an ITN. If the tax was paid by the company contracted too, is a tax return still required. I was told previously that this was not necessary. Thank you for contacting me. I would need a bit more information regarding your situation as the US tax laws are complex. Did you provide these services in the US? Or did you work from home in Canada? If certain conditions are met, it may be advisable for you to file the US taxes in order to have the 15% withholding taxes refunded back to you. This will be my first year filing income tax but I have one major concern. I am a Canadian citizen but I was also born in the United States as my parents were there on an extended visit and therefore automatically have American citizenship. I understand that I also have to pay income tax to the IRS, I feel that this is extremely unjustifiable as I have not earned any income there. What can I do in this situation to avoid or at least minimize my taxes owed to the US? This is a very common issue for many Americans in Canada, many of whom like you have were simply born in the United States and share little to no attachments. Since you are an American citizen by birth right, you are legally expected to pay tax even on foreign income. I condone options relating to tax evasion as you could face prison sentence with a fine of up to $250,000 but you do have several options with possible severe repercussions. The first is the renunciation of your US citizenship which would mean that you will no longer be taxed on any future income. The only problem is that you will be hit with expatriation/exit tax, the good news for you is that if you had little to no income prior to this then the tax will not be too hefty. Also the United States recently introduced the Foreign Account Tax Compliance Act (FATCA), as part of a sweeping U.S. effort to crack down on offshore tax avoidance. Under the law, recently delayed to July, 2014, foreign financial institutions would be effectively shut out of U.S. financial markets if they balk at disclosing U.S. offshore accounts worth more than $50,000. I know quite a few people with dual citizenship, that make substantial amount of money, I’m sure if the IRS is cracking down they will be targetting those with large offshore bank accounts and not people like you. I have heard this is generally the case as well, there is really no sense for the IRS to go after low income people when their millionaires have offshore bank accounts worth hundreds of millions of dollars. Though the United States is controlled by corporate interest so who knows what the IRS will do next. Yes this seems to be the case as well, there have been a lot of high profile cases especially with the Organization for Economic Development engaging in many tax evasion probes. A lot of foreign banks are also shunning away American millionaires in response to these developments. I have a friend who is coming to Canada to work as a temporary foreign worker, I was just wondering what taxes they might be exempt from and which ones they have to pay. Thanks in advance. 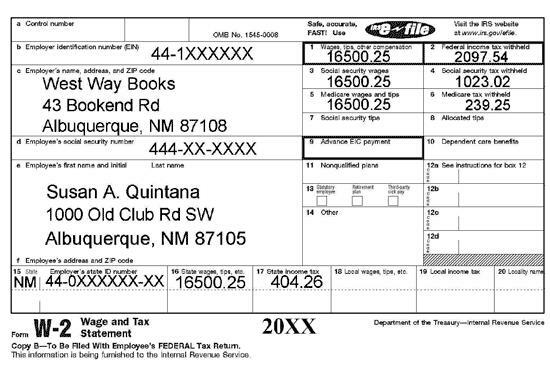 Does the tax treaty also exempt an American on that first $10,000 on taxes paid to the IRS? The IRS will count it towards your total taxable income so it won’t be exempt. However you should be eligible for a foreign tax credit, as to avoid double taxation in Canada and the United States. I’ve heard that Americans also face withholding taxes as well, can you please expand on this point? Regulation 105 of the Canadian Income Tax Act imposes a 15% withholding tax on fees, commissions or other amounts earned from services rendered in Canada by non-resident individuals and corporations. If these services are rendered in the province of Quebec, they will be subject to an additional Quebec withholding of 9%. What sort of things are subject to this withholding tax? What if I don’t disclose a foreign asset worth more than $100,000? what kind of penalties and would it matter if it was in a commonwealth country? The potential max penalty for inadvertently failing to disclose could be up to $10,000 and a wilful failure could cost as much as $100,000 with possible jail time. If your foreign assets are located in a Commonwealth country, it would have not make you exempt from having to disclose it since there is no tax treaty agreements that governs any type of exemptions. One possibility for Commonwealth countries especially in relation to Canada is that there a multitude of agreements in place that would enable Canada and the CRA to crack down on these assets in other Commonwealth countries. Since I have a life insurance policy originating from the United States, I head that I may be hit with a departure tax on this, is that true? Yes this correct, any non-Canadian life insurance policy will be subject to deemed disposition. I’ve heard discussions that there are talks about the Canadian Departure tax replacing the 877A Exit Tax Rules? From what I have gathered, the American Citizens Abroad (ACA) recently made a proposal to the American Senate Finance committee regarding the amendment of the American exit tax rules. They proposed a resident-based taxation with exit tax on deemed disposition similar to Canada’s departure tax laws. Whether or not the Senate will accept these proposals is another question. I’ve heard this as well, and it makes much more sense to use a resident-base tax system. Though I think this would lead to more tax loopholes for Americans overseas. I agree, resident-based departure tax much like Canada is a much fairer system in my opinion. I’m an American citizen and back in 2013 I worked in Canada for roughly 4 weeks. I grossed about 20,000$ in those 4 weeks but only came home with around 11,000$. It’s my understanding that I can’t get taxed in both countries. Is this true? Another concern is will I end up paying more taxes toward my Canadian tax form? I’ve talked to local tax professionals but they are at a loss. Any info would be greatly appreciated. Thank u.
American citizens temporarily working in Canada must file a Non Resident Canadian Personal Tax Return. The income earned in Canada will be taxed according to Canadian income tax rates. As you are a US citizen, you must report and pay US income taxes on your worldwide income, including employment income earned in Canada. However, you will receive a foreign tax credit on your US personal tax return for Canadian taxes paid. Great forum; thank you for the excellent information!!! I am self-employed and own a food concession business working county fairs in Oregon and Washington. Currently, I am set-up as a LLC, but file taxes under single-owner (sole proprietor). I would like to start selling at a few fairs in British Columbia & Alberta. We would spend about 25 days in Canada each summer running our business. Our family permanently resides in Washington State -where I am also a public School Teacher. I am a US Citizen and my husband is a dual citizen (born in Canada / Naturalized US). Our question: would we have to file (and pay income taxes) in Canada? Profits from carrying on a business in Canada are taxable in Canada. However, pursuant to the Canada-US tax treaty, you can claim an exemption from paying income on Canadian business profits, if those profits were not earned through a Canadian permanent establishment. Generally speaking, a Canadian permanent establishment means a fixed place of business (like an office) in Canada. It’s not clear whether you have a fixed place of business in Canada. While you don’t have an office, your food concession stall in Canada (even if temporary) may be considered to be a ‘fixed place’ of business in Canada. This is especially true if your business is seasonal such that you only maintain a food concession stall in the summertime, for example. In order to determine whether a PE exists in your case, I would need to perform additional research. Hi, thank you for the thorough explanation. I am an American living in Canada physically for the whole year but working for a USA based company. I telecommute for work. I get W2 from my USA company. I am single. My only ties to USA are my investment properties and the company I work for. I physically reside in Canada renting an apartment doing my work remotely. My understanding is that given those circumstance. I am considered a Resident of Canada and required to pay taxes to Canada first and then then deduct those Canada tax as credits for my USA filing. Is this correct? As a US citizen you are required to report your world wide income (including income earned in Canada) on your US tax return. You will receive a foreign tax credit for Canadian taxes paid. So, yes, you are correct. Since you were present in Canada for more than 183 days in 2013, you will be considered a deemed resident of Canada too. However, if your family, residential, economic and personal ties are stronger to the US than Canada, you can argue that you are not a resident of Canada pursuant to the Canada-US tax treaty. Both deemed residents and non residents of Canada are required to pay Canadian income taxes on employment income earned in Canada. Deemed residents of Canada are required to pay Canadian income taxes on their world wide income. 1. Do we have to deduct EI, CPP and Tax from their pay checks? 2. I am told that we must keep track of the time they are in Canada to work and deduct EI, CPP, and Tax for the period they are in Canada. In other words, Americans must pay tax, EI, and CPP on the income they earned in Canada? How much EI, CPP, and tax we must deduct from their pay checks, if we must? 3. To me this does not make sense to deduct CPP and EI especially when they will never collect EI or CPP from Canada. As far as the tax is concerned, they will get a offset tax credit at the end of the year so they are not double taxed, in Canada and then again in USA. 4. Do Americans have to apply for a SIN number? In my understanding, only Canadian residents (citizens and immigrants) require SIN numbers; am I correct? PLEASE HELP ME UNDERSTAND this issue. I look forward to your reply. 1. Yes, you must deduct CPP and EI from their cheques, unless they have a ‘certificate of coverage’ completed by the employer. 2. Yes, you must also deduct income taxes in addition to CPP and EI. The amount to deduct is based on the number of days in each pay period that they worked in Canada. You can use the CRA’s online payroll calculator to determine payroll taxes to deduct. 3. They are entitled to CPP when they retire (to the extent that they contributed), so it’s not a total loss. 4. Americans working in Canada should apply for an Individual Tax Number from the CRA. Hi Allan! I thank you also for such a great page and all the help. I have recently come into a situation for helping someone and some questions linger. He is an American citizen, working in Canada on a cycle of 14 days here and 7 home. He has registered for GST and has done his submission for 2012 and is currently trying to figure it out for 2013. He didn’t seek the advice of a bookkeeper/accountant before and apparently ‘messed up the return’, according to CRA. They of course, want him to ‘fix the problem’ but he has no idea where he went wrong. I was recommended to him and met with him recently. He has a T4 type slip but it is T4 with a few more numbers/letters. I didn’t make a note of it, didn’t think it relevant at the time. We used the income stated on that T slip as his income and then I showed him how to enter his GST’s from there. Now another bookkeeper friend is telling me that since it was a T4, that he supposedly isn’t supposed to be claiming GST. I don’t understand how CRA would set him up for GST if he was working as an employee, paying source deductions, etc. I know he is working as a contractor, not employee. I didn’t look closely at the T slip but I don’t believe he is paying any payroll deductions. Could you shed some light on this for me? I’m concerned now that I have mis-led this person. I hope I have explained this reasonably well for you. And I thank you sincerely for your help. If he received a T4 slip and is really an employee, he should not be collecting GST nor HST on his employment income. In this case, the GST/HST account may have been created in error. Hi Allan, I am a US resident(no green card holder-resident alient i guess), and lived in america past few years. I was filing 1040 which made sense. In November of 2013, I left US and went to Canada(new job). Will i be considered a dual citizen for 2013? Do I need a 1040 and 1040NR? I was issued a T4 from November to December in 2013. Would I have to report this? i heard about the foreign earned income exclusion, would this apply? My understanding is I could either do a normal 1040, include the T4, and do the foreign earned income exclusion or I could do the dual status, and include on the 1040 the US source, and nothing on the 1040NR. What would be better? I will need more information to answer your question properly. Generally speaking, US citizens and Green Card holders are required to file a US tax return and pay US taxes on overseas income, even if they don’t live in the US anymore. The same applies for long term US residents. If you do not possess a green card or US citizenship and are not a US long term resident, then you may be considered a non resident for US purposes after your departure. Non residents of the US do not have to file a US tax return if they have no US based income. In the year of departure, you may be considered as a tax resident of both the US and Canada. In this case, you would be liable for income taxes in both countries – Canada and the US. To reduce double taxation, consider claiming a foreign tax credit on your US return for Canadian taxes paid. You could also claim the foreign earned income exclusion, if you meet all of the conditions. You will still need to file a Canadian tax return and pay Canadian income taxes on your Canadian employment income. I’m a US citizen living in British Columbia for over five years and I receive a W-2 each year from my USA company. I pay taxes in both the US and Canada, but with the foreign earned income exclusion, it usually works out to avoid double taxation. I have been told that when I depart Canada in a few years, I will have to pay some kind of departure tax. That is, I had some mutual funds when I entered Canada and that I will have to pay tax on any gains on those which will be deemed to have been sold the day I depart. Is that correct? Also, what if I sell all mutual funds before I depart? Would there be no departure tax on that since they were already sold before departure? Also, will I be taxed on gains in banking accounts, retirement accounts, etc upon departure? Thanks for contacting me. When you sever your ties with and leave Canada, you are deemed to dispose of all of your assets (with some exceptions) at their fair market value on the date of departure. As such, if there are accrued gains in the mutual funds you hold, those gains will be subject to departure tax (or capital gains tax) on the date of your departure. You can sell the mutual funds prior to leaving Canada, in order to avoid paying departure tax. RRSPs and retirement accounts are not subject to departure tax. In addition, the cash saved in bank accounts doesn’t appreciate in value, so there will be no departure tax levied on cash assets. I am an American who has lived in England for the past six years. I have filed returns in Canada and England (but not the US). Do I have to file back taxes for the years I have been away? All American citizens are required to file their U.S. tax return and FBAR reports no matter where they may live currently. In addition, the United States has tax treaties with the United Kingdom that will prevent double taxation by providing a foreign tax credit. If no tax is owed, filing the past three years of returns and past six years of FBARs will normally correct your filing obligations and bring you back into compliance. This is known as the streamlined process. For more information on FBAR reports, please visit the IRS’ website: http://www.irs.gov/Businesses/Small-Businesses-&-Self-Employed/Report-of-Foreign-Bank-and-Financial-Accounts-FBAR. For more information on the streamline process, please visit the IRS’s website: http://www.irs.gov/uac/Instructions-for-New-Streamlined-Filing-Compliance-Procedures-for-Non-Resident-Non-Filer-US-Taxpayers. Hello Allan. I am an American Mechanic who has just moved to Toronto in order to work at a local garage. I have heard that the IRS wants me to report any “Specified Foreign Financial Assets”, but I am confused as to what they are. I have a bank account at TD, and have bough a couple stocks in Canadian companies. Do I report these to the IRS? Hello. Thank you for your question. According to the IRS, Specified Foreign Financial Assets are any of the following. •	ANY financial account maintained at any foreign financial institution. •	Any interest in a foreign entity. •	Any financial instrument or contract issued by anyone other than a U.S. person. I am an American citizen living in Canada. My spouse and children live in Toronto, but some of my extended family still lives in Texas. I would consider myself a Canadian, but I still hold my American citizenship. I do all of my work in Canada. Am I considered a resident or non-resident of Canada in terms of my taxes? Based on your situation, I would consider your residency to be Canadian. There are three primary factors that the CRA uses to determine residency. The location of your spouse, children and home, which are all in Canada in your case. However, since you are a US citizen you must file a US tax return each year and pay tax to the IRS. You will receive a foreign tax credit on your US tax return for Canadian income taxes paid, which should wipe out any US taxes owing (so long as you do not have any income earned in the US). I am an American citizen considering a job offer in Canada. Is it difficult to reside in Canada if you are U.S. citizen? Can you have dual citizenship? What are my tax obligations as an American living in Canada? It is potentially easier to immigrate to Canada from the US than the other way around. However, you still have to either have to do one of the following. Marry a Canadian who would sponsor you. If you wish, you can take the test at http://www.connectingtocanada.com/immigration/eligibility_tests. However, given your situation, you would most likely get http://madanca.com/components/com_wordpress/wp/wp-admin/#comments-forma work vista from your company. It is indeed possible to be both a Canadian and US citizen. If you do become one, you must file a Canadian tax return. As for the rest of your obligations, they depend on your unique situation. For more information on your tax obligations as a US citizen living in Canada, please visit our resource http://madanca.com/tax-implications-for-us-citizens-working-in-canada/. Thank you for sharing all of this excellent information. I have tried researching everywhere for the answers to my questions. I am a 10 year permanent resident of the USA and immigrated from Brampton 1.5 years ago. My previous employer in Canada has offered me a position with his new company. I believe from all of the information above, I would be required to pay tax in both countries, however, what if I am a resident of the USA, operating as a subcontractor. Can I still subcontract to a Canadian Company, file and pay my taxes in the USA, and not physically work at all in Canada? I would be subcontracting as a consultant, under my own business I assume. Any advice would be appreciated. Thank you! Thanks for contacting me. If you are not performing services in Canada (on Canadian soil), then Canada cannot impose income tax on the profits you earned by subcontracting to a Canadian company. As soon as you begin rendering services in Canada (on Canadian soil), then your Canadian client will be required to withhold 15% taxes from payments made to you. As a permanent resident of the US, you must report the income you earned from the contract as a self employer person on your 1040 tax return. You will be liable for paying US income taxes. Hello Allan, I moved to Canada from the US with my Canadian wife and obtained my citizenship 10 years ago. Although I sometimes file them a year or two late, I am now current with my 1040’s. However, I have just now heard of Form 8891 and TDF90.22.1. How do I go about getting up to date with them when I’ve never filed them before? At the moment, you are liable for several $10,000 fines. You should be bringing these files up to date for six years plus the current year. On September 30, 2013, Financial Crimes Enforcement Network (FinCEN) posted, on their internet site, a notice announcing FinCEN Form 114, Report of Foreign Bank and Financial Accounts (the current FBAR form). You can find the notice at http://www.fincen.gov/whatsnew/pdf/20130729.pdf. FinCEN Form 114 supersedes TD F 90-22.1 (the FBAR form that was used in prior years) and is only available online through the BSA E-Filing System website. File the 8891 and amended schedule B’s with a 1040X to the IRS. I would suggest getting this matter sorted out as soon possible. It is a serious legislation, and fines can be administered very quickly. If you come forth and make a voluntary disclosure, there is a chance you can avoid fines altogether. Please contact me if you would like to proceed. I am a US citizen and I work for and am paid by a US company. I travel to Canada to handle business for one of our Canadian subsidiaries and have done so for several years. I am not compensated by the Canadian subsidiary. The number of days I am in Canada each year varies. This year I will be in Canada approximately 25 days over the course of the year. The most days I have been in Canada in any given year is less than 50 but I don’t know the exact number for each year. Is there a de minimus number of days I can work in Canada as a US citizen paid by my US employer without incurring Canadian tax liability? Income earned in Canada by Canadian non-residents is generally taxable in Canada. However, the tax treaty between Canada and the USA provides some tax relief in specific situations. Under Article 15 paragraph 2 of the tax treaty, income earned in Canada by a resident of the US will be taxable in the US if income earned in Canada is less than $10,000 or if the taxpayer was present in Canada for less than 183 days in the tax year. I am US born and have been in Canada (Toronto) since January, working for a software company that does most of their business back in the States. I travel back to the states at least 1 week out of the month on average. Family moved with me to Toronto in January, but we are about to move them back to California in August. I am considering proposing to my employer to change my status to a US contractor as I will not be a “resident” and am working in the states quite often (potentially more often than 1 week per month, hopefully WFH in Cali). Does my employer have any risk or downside to changing my status to US contractor? My position is as a Management Consultant, tasked with being a consultant for signed and potential US clients. Are there any blatant tax implications for me to contract with a Canadian company. I would potentially be in Canada for 2 or 3 weeks at a time. Are there any risks associated with a “change of status” from employee to contractor? If further consultation would be beneficial, I am open to retaining your services. Thanks so much. If you are an employee in the eyes of the CRA but you call yourself a contractor out of convenience your employer will be liable for payroll taxes not withheld on your Canadian employment income. Your return will also be reassessed if you filed incorrectly as a contractor previously. If you truly are an independent contractor in fact, then consider billing through a Canadian corporation. Corporations only pay tax at 15.5% if they are private companies owned by Canadian residents. This will lower your tax bill. Be careful that you are not in the US more than six months in 12 performing work on behalf of a Canadian corporation otherwise, the Canadian corporation will be deemed to have an establishment in the US and will be liable for US taxes. I have reviewed information on your website. I am assisting my son with his tax issues. He is a US Citizen and resident, graduating college in US May 2015. He worked for two months this past summer for a company based in Toronto on an internship. Some Canadian taxes were withheld. From your site, I understand that he will need to file a Canadian tax return for the 2014 tax year since he was paid income there. I assume the return will be relatively simple but would like to know if you think he will be eligible for being reimbursed for some of the withholding. If so, would like to know what fees you will charge him if we have you prepare his Canadian return. He has accepted a position for full time employment with the firm at their Toronto office for after graduation, which he expects to start either in Fall 2015 or in January 2016. From my research, I understand that it will be advantageous for him to maintain his American Residency status, even if he works more than 183 days in Canada. I believe he will continue to qualify as a US ( non-Canadian) resident, but would like to discuss that with you as well. Your son should file a Canadian income tax return. If he only worked two months, it’s likely that he will end up with a tax refund. When your son moves to Canada and establishes ties here, he will become a resident of Canada for tax purposes. He will still be required to file a US tax return pay US income taxes on his worldwide income. However, he will receive a foreign tax credit on his US tax return for the Canadian taxes paid. This should eliminate double taxation. I am both a US and Canadian citizen and live in the US and work for an American employer full-time but am considering a job opportunity to work concurrently for a Canadian company and earn about the same amount of $. If I am understanding right I would need to file taxes in each country and declare my income for both countries in each country and request a tax credit in each country for the other country’s income. Let’s say I earn $50k in the US and $50K in Canada – I pay tax within each country for income earned in that country and then disclose the $100k for both in each country and request tax credits in each for other – whew! And I pay social security, etc in the US where i reside for social security and request my Canadian employer to pay into my US social security?? While messy and a bit complicated I think I have a handle on it. Your analysis is mostly correct. However, you should investigate whether you are eligible for a Certificate of Coverage from the American Social Security Administration so that you do not have to contribute to the Canadian Pension Plan. Also note, that you will need to determine which country you are a ‘tax resident’ of according to the Canada-US Tax Treaty. Tax residents of a Country are taxable on their worldwide income, and also must report foreign assets to that Country’s tax administration. You are automatically a US tax resident by virtue of your American citizenship. Unlike the US, your Canadian citizenship does not make you an automatic tax resident of Canada. Rather, your residency in Canada is determined based on your primary and secondary ties to Canada. If you are considered a non-resident of Canada, you will only be liable for Canadian income taxes on income earned in Canada. Please note that I have a great deal of experience in cross-border taxes, and I can prepare both your American and Canadian tax returns for you, as well as claim foreign tax credits to reduce/prevent double taxation. My husband is being transferred within his company to Montreal for the next few years. We are both US Citizens, and we both will have work visas. I work remotely for a small US based company . They were told by their payroll processor that I would have to be paid as a consultant when I move- but it seems to me as if I could still get a W-2 from them? I still have college age children in the US that I’d like to keep on health insurance. Great article. I am a US citizen and work for a global company with offices in CN. Last year I spent < 10 days in Canada, but received a T4. Per your article, I understand that I have to file my taxes. My big question is how? I have reviewed services like TaxAct, but I have not found a method for doing this. Any services you would recommend? Canadian Income tax is based on residency. As a general rule, residents of Canada are taxed on their worldwide income. In addition, the government imposes income taxes on non-residents who earn income in Canada. If a person has no significant residential ties in Canada and stayed in Canada for less than 183 days in the year, then he/she will be classified as a non-resident of Canada for tax purposes. In your case, you are a non-resident of Canada for the year and you should only report your income from employment in Canada. You will need to file a Non Resident Tax Return, which we can prepare for you. 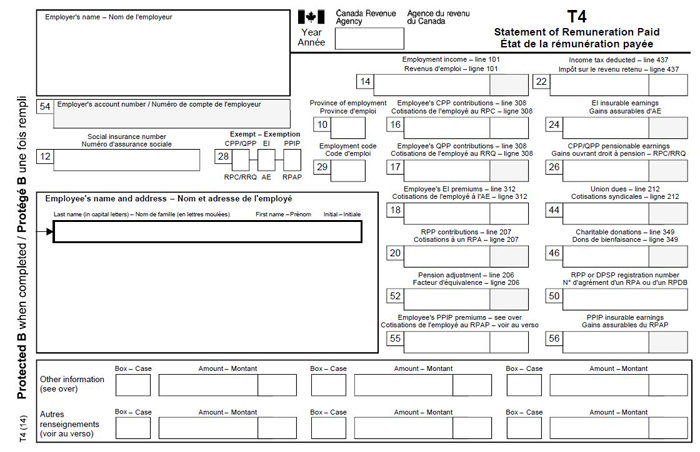 I’m doing taxes for a friend’s son who has dual US/Canadian citizenship. He is definitely a Resident of the US, Non-Resident of Canada. He worked for a few months in Canada last year, and he has received a T4 which shows deductions of income tax, CPP, and EI. I will file a T1 for him (is there a simplified form, like the 1040EZ?) and then a US 1040 showing the foreign income tax paid. (He has no other income from Canada or the US for 2014.) May I also deduct the CPP and the EI on the 1040? My daughter receive a T4 for the week she worked on a theatre company in Ontario, Canada. She earned $415.22. The form says CPP 28 and QPP X and EI of X under the Exemption area. Does she need to file a return? Unfortunately I have been late on filing my taxes in the US and now I am working in Canada. Will the CRA collect these delayed taxes to assist the IRS? Late taxes are always stressful! The Canada-US Tax Treaty does state that Canada can assist the United States to collect certain taxes. However, it does say that the CRA will not help the IRS collect your U.S. tax liability if you were a Canadian citizen at the time of the liability. Thank you for all the information! I worked in Canada for a week for a Canadian company, my services were charged to my business. When they paid my business they deducted 15% for taxes. Is that correct? Is there a way to avoid this? Thanks for contacting me. When a non resident renders services in Canada, the customer must withhold 15% from the payment made for the services rendered. You can file a non resident return to recover all of the taxes withheld, so long as you did not maintain a permanent establishment (e.g. fixed place of business) in Canada. For future contracts with Canadian customers, you should consider obtaining a regulation 105 Waiver from the CRA in order to avoid paying the 15% withholding tax. To deal with the current situation, I can prepare a non resident tax return for you. Please let me know if you would like to discuss further. As a Canadian company who employs a US citizen for work in Canada (less than 183 days and no permanent residents) are we obligated to file a W2 as well as a T4? If so, how do we go about filing a W2? You must only prepare a T4 slip for this employee, if the employee is a non resident of Canada and worked in Canada only. This employee will also have to file a Non Resident Tax Return in Canada, which my office can prepare. I have dual citizenship and I am considering working in Canada and commute daily from my WA residence to my workplace in BC. I understand I have to pay tax in Canada on my canadian income but will I be taxed at the canadian federal + BC provincial level or will I be taxed at the US federal + WA state rate ( which has 0% state tax). You will be liable for both Canadian Federal and Provincial (BC) income taxes on the employment income earned in Canada. You will receive a foreign tax credit for a portion of the taxes paid in Canada (Federal + BC) on your US tax return. Please note that we prepare both US and Canadian tax returns. 1. I will fill out a tax return for Canada and pay taxes in Canada on the amount paid to me from the Canadian firm. 3. I can get a certificate of coverage from Canadian Revenue Agency so I won’t have to pay into what is basically Canadian’s form of Social Security. 4. I will have to pay social security in the US on the amount I earn in Canada. Your analysis is correct. But you need to be sure you are eligible for a certificate of coverage in order to avoid paying social security taxes to the Canada Revenue Agency. Great information! I am a US citizen and recently moved to Canada and still working for a US based company (telecommuting full time) and I am a Canadian resident (Canada work visa and renting a home in BC). I understand that I am required to file US and Canadian tax returns, but I would like to find out if there are any tax consequences for my employer? I will still be withholding US state and federal taxes, direct deposit to my US based bank and still have a permanent US address. If I am filing two returns and paying taxes in both countries, are there any payroll tax issues for my US employer because I reside in Canada? Is the US employer required to withhold Canadian income taxes? You are likely a non resident of Canada, so long as your personal and economic ties to the US are stronger compared to Canada, and so long as you maintain a permanent home in the US. Your employer is supposed to register for Canadian payroll taxes, and deduct these taxes from your paycheques. US payroll taxes will be reduced by the amount of the foreign tax credit you can claim on your US tax return. After applying the foreign tax credit, it’s unlikely that that there will be any US payroll taxes deducted from your paycheques. I can obtain a Canadian payroll account number for your employer. In addition, you must file a Non Resident Tax Return with the Canada Revenue Agency by April 30, 2016 for the 2015 tax year. I can prepare this return for you. Note: Your employer won’t be subject to Canadian income taxes on business profits, so long as the profits were not earned through a Canadian permanent establishment. I am a US citizen living in Michigan and the company i work for is being bought by a Canadian company that is based in Windsor, Canada. I will not be working in Canada ever. It is a retail company with several stores in Michigan so there is no need to ever go to Canada. The actual business is all in the US. I was told however, that I will be paid from Canada. How will this affect my wages and how will I be taxed? There is a second part to this. I will also be a partner and 30% equity holder of this company. I will run the company in Michigan and be paid as an employee for my work. I have tried to find information on the IRS website, but there is nothing there in regard to my situation that I could find. Thanks for contacting me. Since you will still be working in the US, after the takeover, you will continue on US payroll. Foreign employers who hire Americans to work in the US follow the same rules as local employers in respect of US payroll taxes. Hello, my wife and I are thinking about relocation to Canada from Minnesota in about a year. She is a Medical Sonographer(ultrasound) and I am a self employed artist/professional tattooer. We have two children under 10 that would be coming with us as well…we plan on moving permanently to Canada if everything pans out. Now her occupation used to be on the Canadian occupation in need of list last year, but now I can’t seem to find any info on such list…My main question is this; as far as moving from the US to CA, how difficult is this do you think? I assume we will have to start off with work visas and such and obviously already have jobs lined up. But other than that are there other hoops to jump through? esp. being a whole family moving to CA as opposed to just one person. Also I am very confused how this will work when it comes to taxes /healthcare etc? Especially with my business being somewhat different from an ordinary type job…Also are there certain cities that are more accepting of US immigration? such as Toronto, Montreal or Halifax? Any help or guidance is most appreciated, thank you! Hello, I worked in Canada as a guide. I made under 12,000 Canadian for the 3 months. I received a T4 from my Canadian employer, Can I receive a tax refund from the $ deducted from my paychecks? Since you worked for a Canadian employer and the amount is over $10,000, you are liable for Canadian taxes on your Canadian employment earnings. If you are a low-income earner considering all of your sources of income (inside and outside Canada), then consider filing a non-resident personal tax return to recover a portion of the payroll taxes deducted from your pay. I was employed by a US employer and I am a US citizen for 2 days of work in Canada, which equals to about $2,000. My US employer doesn’t have any activities in Canada except for the services I rendered. My US employer issued me a W2 and a T4 (for the work performed on Canada). Do I still have to prepare a non-resident Canadian tax return and par Canadian taxes, since I’m under $10,000? If you don’t have a balance owing to the CRA, then you don’t have to file a tax return in Canada for the T4 you received. However, to recover a portion or all of the taxes deducted on your T4, I suggest that you file a Canadian personal tax return. If I want to file the non-resident return to get back the Canadian taxes withheld, how do I tell the system that I am not subject to Canadian taxes, otherwise it calculates taxes payable. Is there a special form to file with the non resident return? File a nonresident tax returns along with the statement of worldwide income. We can file this return for you. Thanks for contacting me. I can certainly prepare your US return for you. This includes calculating a foreign tax credit on form 1116 in order to avoid double taxation. Your share (50%) of the partnership’s net income for tax purposes should be reported on Schedule E.
Am I responsible for Canadian taxes? Yes, you will have to file a Canadian tax return. You can claim a foreign tax credit on your Canadian tax return for the American taxes paid. Thanks for your questions. You and your husband will remain US tax residents because you are both US citizens. It’s likely that you and your husband will be classified as nonresidents of Canada since you are keeping your home in the US and you are only in Canada temporarily. To avoid double taxation, you can claim a foreign tax credit on your US return for Canadian taxes paid. I recommend that you set up a cross-border account with TD Bank or RBC bank in order to save fees on exchanging currency. Payments made to a nonresident of Canada for services rendered in Canada are subject to a 15% withholding tax. So that means you will receive only 85% of your pay, with the remainder deducted for taxes. If you do not have a permanent establishment in Canada, you can recover these taxes by filing a nonresident tax return. Thanks for all the great information Amin! I am a US citizen with residence and social ties in the US. I am entering into a contract with a Canadian company who will have me working in Canada for an estimated 90 days per year. My employer will pay me for both labor and expenses. In the US, I would write off the expenses as a deduction as is applicable under US tax law. My question is: if I file a CA non-resident tax return, will all of the Canadian taxes withheld be refunded to me? And if so, do I just claim the expenses for work done in Canada in the same way I would if I incurred them in the US? And one more: how do Provincial taxes figure into all of this? Thanks in advance! The answer depends on if you are an employee or independent contractor (self-employed). Employees have very limited tax deductions. If you are self-employed and in Canada for less than 183 days, then you do not have to file a Canadian tax return. However, your customer in the US will be required to deduct taxes at a rate of 15% from payments made to you for services rendered in Canada. To recover these taxes you should file a non-resident return with the CRA and/or claim a foreign tax credit on your 1040 return. You should order a transcript of his tax returns from the IRS. This way you will know if the returns have been assessed as filed. I’m a US permanent resident and I have a friend who just open his business in White Rock, BC, and offer me a very good job. Can I live in US and work in Canada? I saw your video and I thought after that will be complicated and risky. I’m not planning to move to Canada because in a couple of years I can apply for the American citizenship and as far as I know I can’t have two permanent residence. What do you recommend me for your experience? You can live in the US and work in Canada. Your employer will have to issue a T4 slip to you (similar to an American W2) and deduct Canadian payroll taxes from your paychecks. You will also have to file an annual tax return each year with the Canada Revenue Agency. If you are a US permanent resident, you will also file a US return annually (1040) and pay taxes to the IRS on your worldwide income. You can claim a foreign tax credit on your US return for part of the Canadian taxes paid. You should speak with an immigration lawyer about the number of days that you must live in the US annually to maintain your Green Card. Yes, you can work in Canada and also live in both countries. If the balance of your ties (personal and economic) are stronger to the US than Canada, you will be considered as a non-resident of Canada. As a non-resident of Canada, you have to pay Canadian income taxes on employment income earned while working in Canada. In addition, because you are a US PR, you will be liable in the US for taxes on your worldwide income. To reduce double taxation, you can claim a foreign tax credit on your US personal tax return for part of the Canadian taxes paid. Great information. I recently moved to Vancouver from the US for my husband’s job. I am a US citizen, but have a Canadian work visa and am a Canadian permanent resident. I am currently working remotely in Canada for a US nonprofit. However, my US nonprofit will not allow me to stay on as a regular employee past the end of the month. They are requiring that I become an independent contractor. Should I set up an LLC in the US, continue to work for my US nonprofit as my client but physically be in Canada? What are the tax consequences? Can I gain Canadian clients with this LLC? Will I still receive a Canadian tax credit to offset double taxation across the two countries? Do not create a LLC. LLC’s cause double taxation for Canadians. Instead, operate as a sole proprietor and bill your client personally. You should report the income that you earn and business expenses that you incur on both your US tax return and Canadian tax return. You can claim a foreign tax credit for part or all of the Canadian taxes paid on your US tax Return. This way you will avoid / reduce double taxation. Thanks for this article. This was really helpful and now I know that I won’t have to pay Canadian taxes since I’ll be a non-resident. I’m a US resident and I’ll be working remotely in (Washington State) for a Canadian company. They will give me a 1099 at the end of the year and I can report my income to the IRS as self-employed. Another website said to avoid needing to file in Canada that the Canadian company will need to “pay me in the US”. What does that mean? Is it a problem if they send me a check (either US or Canadian dollars)? Or what’s the best method to pay a non-Canadian resident, can they do a deposit into my American bank? You won’t have to pay taxes in Canada. Your local bank should be able to convert Canadian dollars into US dollars, but confirm with them. OR have your Canadian client pay you in US dollars to avoid issues with exchanging currency. Hello – Very helpful article. Thank you. We are a Canadian Company (located in Canada only) looking to hire a US citizen residing in US, who will work remotely on both US and Canadian clients for our company. It seems there are two ways to go about this Employee vs Subcontractor. What is the best way to hire this individual so that there is less tax burden on both the individual and the Canadian Company. 1. Is hiring this US individual as a subcontractor a good approach where the CDN firm withholds 15% tax and the subcontractor receives foreign tax credit on their 1040 schedule C? Can the subcontractor claims all self employed deductions on their 1040 in this case? 2. If they are hired as a employee and we withhold their EI, CPP, should we pay them in US $ or CDN $ or does it not have any implication? Also, in this case, they will need to file both CDN and US tax returns. Will they receive any foreign tax credit on their US tax return. If the person you are hiring is truly acting in the capacity of an employee, then you should treat him/her as such. This entails registering for US payroll taxes and Canadian payroll taxes. Since this person is a US citizen, you have to deduct US payroll taxes from their gross income. Canadian payroll taxes will only be deducted from the portion of his salary that relates to the days worked in Canada. Note: This US person can claim a foreign tax credit on his US personal tax return (1040) for part of the Canadian taxes paid. I am a United States citizen and am currently living with my wife in Quebec. I have an employment opportunity that would allow me to work from home online. The company is based in the United States, and if employed, I would be considered and independent contractor. Seeing as how I am a legal temporary resident of Canada, I assume that I would have to pay Canada taxes in addition to U.S. taxes? In addition to a 1099, would I need to complete a T4? Would I be able to apply a foreign tax credit to avoid double taxation? Although I am a legal temporary resident (visitor valid for one year), my permanent residence at this time is in Canada. Almost all of my possessions are here in Canada, and as I had stated earlier, I live with my wife here in Canada. I assume that would make me a resident of Canada, despite my social ties being stronger in the U.S.? Any tips or advice that you would be willing to offer would be greatly appreciated. Thank you for your time. You do not need a T4 (employment income) slip since you are self-employed. You are likely a factual resident of Canada since your ties are stronger to Canada (you are living in Canada, your spouse is in Canada, and you are working in Canada). Also, you are a deemed resident of Canada if you are visiting Canada for more than 183 days. As a factual / deemed resident, you are taxable in Canada on your worldwide income, which must be reported on a Canadian tax return. As a US citizen, you are also a resident of the US regardless of where you live. This means that you must file a US return (1040) and report your worldwide income and pay taxes on your worldwide income to the IRS. To reduce/prevent double taxation, you can claim a foreign tax credit on your US return for part or all of the Canadian taxes paid. Since you are self-employed (i.e. 1099 / independent contractor), remember to complete form T2125 (Statement of Business Activities), which should be attached to your Canadian tax return. Be careful not to violate any immigration laws in Canada. Since you are a temporary visitor, you may not be able to work in Canada. You should consult with an immigration lawyer. I’m a US citizen and my wife is a dual citizen. We arrived in British Columbia with our 2 children in early 2016 from the US where she started a new job. Since I was only declared a visitor in 2016 in Canada, I was only allowed to work remotely for my New York company and I was still getting paid as if I lived in New York(fed and state taxes were still being deducted). Do I need to file taxes in Canada? Also, since we sold our home do we need to show this on both returns? Thanks in advance for your help. You and your wife will be classified as ‘tax residents’ of Canada starting from the date that you both arrived to Canada permanently. As such, you and your wife each have to file a separate tax return with the CRA. On your Canadian tax return, you must report your worldwide income starting from the date of your arrival. To avoid double taxation, you can claim a foreign tax credit on your Canadian tax return for the taxes paid in the US. Note: Even though you were paid by a US employer, the days you spent working remotely in Canada will be treated as ‘Canadian sourced income’ and subject to Canadian taxation. Yes, you have to report the sale of your home to both the IRS and the CRA. You may be able to claim the principal residence exemption. I can prepare your US and Canadian tax returns if you would like me to do so. If I am an American citizen living in the U.S. year-round and I begin working for a Canadian company remotely from the U.S., will I have to pay Canadian taxes? They say I will be an independent contractor and they will take no taxes out and the onus is on me to report to Canada or the U.S.
No, you don’t have to pay Canadian income taxes since you are working remotely (i.e. in the US) as an independent contract. However, if your total sales exceed $30,000 to your Canadian customers, then you have to charge them sales taxes (GST/HST). How do i pay the tax, when i go to the website it wont accept my US SS#? Hi, Marc. You can make a payment by wire transfer to the CRA. I am an American citizen. Worked in Canada for 1 month in 2016. Was paid $25,620.00 CAD with no taxes deducted by the Canadian company I contracted with. I filled out the Canadian tax forms this evening and am surprised that it is telling me I would owe $8,671.47 CAD, which is 34% taxes. Does this sound right? All I did was work 1 month, no special deductions or anything. Seems extremely high to me. Any commentary is appreciated. Thank you. Hi, Elise. Yes, it seems high. I would have to prepare the return and then compare to what you filed to see where the error is. I am a Canadian Resident working remotely for USA company (permanent) on W-2 in TN status. My payroll is run in the USA. My actual work location is in USA. I initially worked 70% of time from USA but last year I worked 90% from Canada (as I gained confidence of my manager). As I am more than 183 days out of USA and my employment income comes from a USA based company, my employment income will be taxable in USA (based on Canada-USA tax treaty, my employment incomes comes from a permanent establishment of a company in USA , I would be taxable in USA only). Am I correct? Hi, Canadian81. Since you are a tax resident of Canada, you will be taxable in Canada on your worldwide income. However, you should only be taxable in the US for the days that you worked in the US. This is because non-resident aliens of the US are only taxable on US-sourced income. Therefore, apportion your W-2 earnings to the US based on the number of working days in the US as compared to the total working days in the year. In Canada, you can claim a foreign tax credit for the US taxes paid. Hi Canadian81, I am aware of this article. But it appears that you are a resident of Canada and not a resident of the US. The article that you are referring to applies to situations where US residents temporarily work in Canada. Given that you are living in Canada, you are a resident of Canada and not the US. Residents of Canada must pay income tax on their world-wide income. As such, this article does not apply to you. Hi Canadian81, the CRA agent is wrong. As a resident of Canada, you are tax on worldwide income. In addition, employment income is sourced based on the days worked in each country. I live in the united states and post ads for a Canadian company on social media. They had me fill out a W-8. Do I need to pay taxes on this income on the US tax return or do I need to file a Canadian tax return? Hi Cathy, if you do not have a permanent establishment in Canada (fixed place of business), the you do not have to pay income taxes to the Canada Revenue Agency on your Canadian sales. However, as a US resident you will have to pay US income taxes on your global income. Hi Madan! Hope this blog is still active. I am a dual US canada citizen living in US close to the canadian border. If I work 4 days a week in the US and only 1 day a week in canada, then I will owe canadian taxes for ONLY that 1 day/week’s worth of income and not on the US income, correct? Secondly, if I have a daughter and ex wife living in canada, and have canadian drivers license (because used to live in canada) but I myself live in USA, do very little canadian banking and don’t own a home in canada I will still be considered non resident for canadian tax purposes, right? Thanks. Since you are separated from your spouse, and do not have a home available for your use in Canada, you are considered a non-resident of Canada. Non-residents are liable for tax on income that they earn in Canada. In your case, this is 1 day of Canadian employment income earned each week. Therefore, you should file a Canadian non-resident T1 return and pay Canadian income taxes on your Canadian-sourced employment income. To avoid double taxation, claim a foreign tax credit on your American tax return (1040) for the Canadian taxes paid. So if I live on canadian side close to the border in parent’s home (home is not under my name) and commute daily across the border to USA, does the statement above mean I will be considered non-resident? This is assuming I am considered US resident (and renting or owning a place in USA) and the only other ties I have with canada are: having a child living in canada, having canadian driver’s license and license plate, minimal canadian banking, no health insurance in canada, possibly working 1 day/week in canada. Sorry for this complex question. The statement on CRA’s statement makes it seem that even if someone resides in canada and commutes to USA daily, then one could still be considered non resident of canada if other conditions are met. Much Thanks for reading! Since your child lives in Canada, and you return home to Canada every day from work, you are not a deemed non-resident of Canada pursuant to the tie-breaker rules for residency contained in the Canada-US tax treaty. Instead, you are a tax resident of Canada and a non-resident alien of the US. (This is assuming that you do not have a US Green Card and you are not a US citizen). We are a small, new C-Corp with a partner who lives in Canada. We are attempting to set up payroll however US Payroll seems to choke on the idea of a non US resident. They want to see a US state on the payroll account, but if the partner lives in Canada, then how do we get out of state withholding? If the partner is a non-resident alien of the US and a Canadian resident who is working in Canada, then the correct procedure is to setup Canadian payroll for this partner and deduct Canadian payroll taxes, not US. I am a US citizen and will be working in Ontario for less than 183 days. It is my understanding that Ontario has a 13% HST tax which I will be able to bill my employer in addition to my contracted hourly rate. Are there any other taxes I should be aware of to include in my calculations to create my hourly rate? I was told to use 26% assuming 13% of 26% is for the HST. In addition, what is the gross dollar value I earn in Canada that the IRS will not Tax me on in the US per the 1980 agreement? I have been attempting to find the number in IRS literature to no avail. Thanks for your response, greatly appreciated. It appears to me that you are a non-resident of Canada working as an independent contractor for a Canadian client. This is not an employer-employee relationship. As a result, you are required to charge 13% HST to your Ontario client(s) on the gross amount of your invoices. Since you are in Canada for less than 183 days, you do not have a ‘permanent establishment’ in Canada, and are not required to pay business income tax in Canada. However, your Ontario customer(s) is required to hold-back 15% tax from payments made to you (before HST) pursuant to regulation 105 of the Canadian Income Tax Act. To recover the withholding tax deducted, you should file a tax return with the Canada Revenue Agency. I can help you with HST registration, filing HST returns, and with filing income tax returns with the CRA. I live in Canada and work mainly out of my home office but work for US company and working on mainly on US sites. Can I count any of my days working from home in Canada as days worked in US since working on US systems. Just being taxed a lot more for having more days in Canada vs US. Where before I used to travel more so was about half and half and taxed less with more working days in US vs Canada. thanks for your reply. Since you are a Canadian resident, you will be taxed in Canada on your global income. So, even if you apportion more of your income to the US versus Canada, you will still end up paying tax in Canada on your total income = US + Canada.